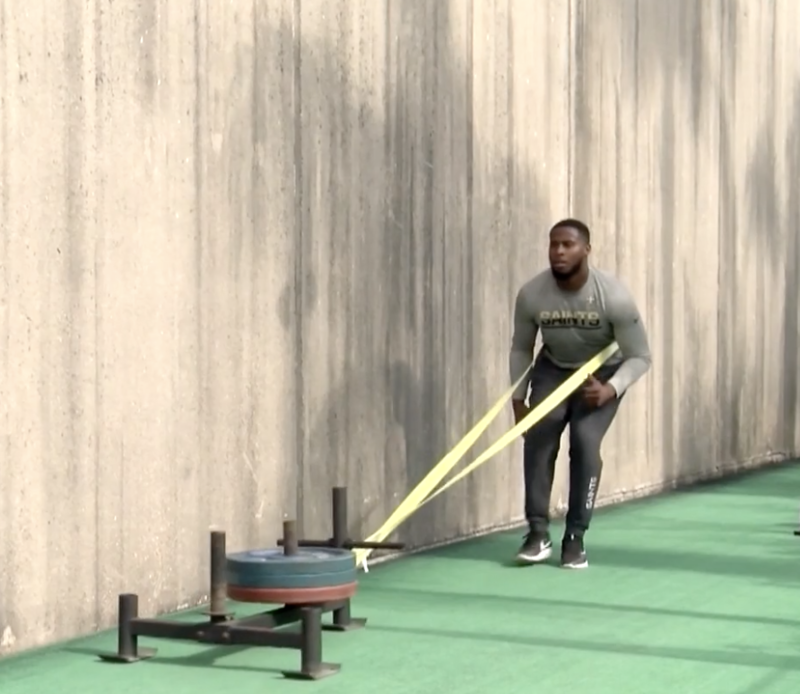 'Iron Jungle' keeps NFL players in shape during off-season from Loyola Maroon on Vimeo. Professional athlete pulls weights in the Deejoe Fitness gym. Though this is a membership only gym, you do not need to be a professional athlete to become a part of the gym. It can be easy for an athlete to get out of shape when they’re not in season, but local business owner Derrick Joseph of Deejoe Fitness, knows being out of condition isn’t a possibility for the professional athletes that come to his gym. Anthony Johnson, defensive lineman, is among the many athletes that spends his off season training at this gym. “We have to train day in and day out to be the best that we can be and Deejoe Fitness does that for me,” said Johnson. After training athletes in New Orleans for over a decade, Joseph believes he’s created a system that increases the overall speed, strength and endurance of his clients. “Their bodies are their money makers, at the end of the day you have to take care of it. If they’re not taking care of it they won’t be working,” Joseph said. Having only six months to prepare for the NFL season, the work they choose put in over this time period has a huge effect on their performance. With similar goals in mind, nearly a dozen NFL athletes from different teams choose this program to get them where they want to be. “We know the expectations when we walk through the door. This gym has created a culture of getting better, and you can’t beat that,” said two time pro bowler, Trai Turner. Joseph preaches the philosophy that hard work is hard to ignore, as long as you’re willing to work hard. Deejoe Fitness is located just past the Huey P Long bridge in Harahan, Louisiana. Though this is a membership only gym, you do not need to be a professional athlete to become a part of the gym. For more information go to deejoefitness.com.